But what do we mean by a true story?… In what helpful sense is a fictional story about a boy and a slave on a raft, or, worse yet, a story about hobbits and wizards, true? Here is the answer: Any story is true, fictional or otherwise, that testifies accurately to the human condition. Most people associate truth with intellectual or rational truth, especially the truth of propositions and the scientific method. But there is also the truth of the keen observation and penetrating reflection. There are the truths of the emotions and of the spirit and of the imagination. These are not less important because they are less verifiable… These in fact are the truths that do most to shape our lives. And all these kinds of truths, including rational truths, are to be found in story. He uses The Lord of the Rings to show how truth can be embodied in a fictional story (and I don’t use the word ’embodied’ loosely, as you’ll see in a moment). I’m quoting it at length because it expresses as well as anything I’ve read why I like Tolkien’s stories so much. [M]y life took a slight but perceptible change in direction in my late teens from reading J.R.R. 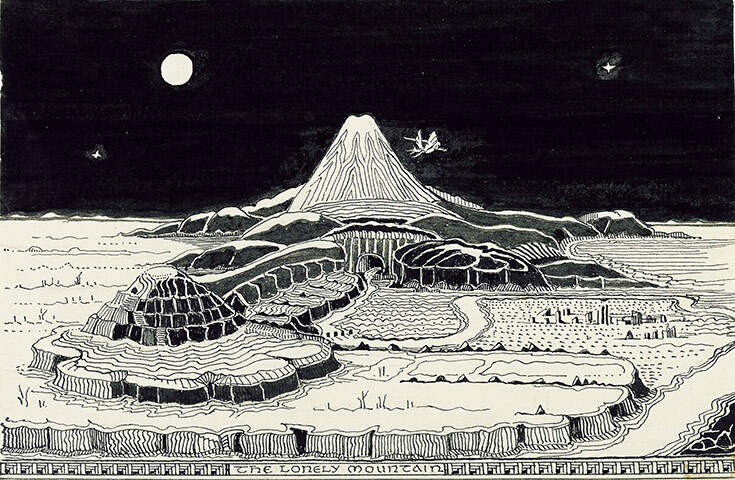 Tolkien’s The Lord of the Rings. Trolls, elves, hobbits, wizards, dark forests, forest havens, caves, mountain strongholds, treachery, cowardice, courage, perseverance—what have these to do with being a teenager in California during the Vietnam War? Tolkien’s story gave me the courage to say to myself what I already felt to be true from my own experience—that good and evil are real, that it matters a great deal which one wins out in the world, and that the outcome depends on me. The Lord of the Rings is filled with unexceptional people—that is, hobbits, elves, and the like—called on to do exceptional things if good is going to survive in the world. Reading the story (and its predecessor, The Hobbit) reinforced in me a tremendous desire that good should win in the world and evil should be defeated, and to do what I could to help—not least because it helped me see that evil was not only out there, but within me as well. A composer once played a very difficult piano piece and was asked what it meant. His answer was to sit down and play the piece again. Similarly, stories are incarnational. They say to us, ‘Do you want to know what love is, or courage or greed or petulance or laughter or compassion. Let me tell you a story.’ And the truth of that story will be found in every sentence, but in no one sentence by itself. When I later discovered sophistical thinkers who assured me that good and evil were not real categories but only subjective and transient points of view, I knew better. I lacked then the intellectual resources to articulate my disagreement, but I was armed with the holistic experience of a story that kept me from naively embracing what I now think is a widely influential but unliveable view of the world. This is why we need to tell our kids good stories. Because their truths, embodied in the flesh-and-blood characters of even imaginary worlds, sink deeper and hold tighter than propositional truths. And because those truths, incarnated in stories, are the only type that are capable of standing firm against the lies of a dying world. With all due respect to Ms. Lloyd-Jones I disagree in only this regard: The gospel isn’t like the most wonderful of fairy tales, it is the most wonderful of fairy tales. And with Lloyd-Jones, and Tolkien and Lewis and that great cloud of witnesses, I wholeheartedly affirm that it is coming—has come, and will come again—true in real life. Ah, but wait: Christian truth is embodied, is incarnated, not just in a story, but in a person. A real, historical, living, breathing, flesh-and-blood-and-bone man who was God, and who died and rose again. If you let that truth get inside you, you’ll never be the same again.